And to you lovely folk in the Southern Hemisphere, with your warm winters (mostly, unless you live in Harrismith, South Africa, or Queenstown, New Zealand) and now the heat of summer threatens again... ah, the cycle of life! 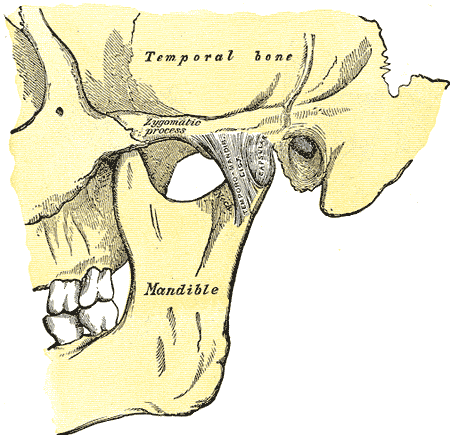 What always catches me by surprise is the fact that patients consulting me with severe facial pain only rarely grasp that their pain may be cominging from the Temporo Mandibular Joint, or TMJ for short. Any joint, and the muscles and nerves that supply it, can make our lives miserable, and none more so than the TMJ. What makes it doubly vulnerable is that it has an intricate disc, and it's obliged to work in harmony with its mate on t'other side. A family row between them means Pain with a capital P! What makes it trebly difficult is that the joint is served by the largest cranial nerve, the Trigeminal - and the sensory nucleus of the Trigeminal nerve lies in the upper part of the neck. So, pain in the jaw joint is first relayed to the neck before being sent on its way to the Thalamus and then on to the Parietal cortex (side of the brain) where you would sense the pain in the face, jaw joint and side of your head. Is this a TMJ condition radiating to the neck? Sometimes, it's simple: Does your jaw joint give out loud popping or grinding sounds? Place your forefingers in both ears, with the pad facing forwards. Gently open and close your mouth. Can you feel the jaw joints moving? Are they moving in harmony, or does one open before the other? Can you feel rude clicking or grinding and popping sounds? Now place your fingers just in front of your ears. Sore? Clicking? TMJ exercises ... something you can do to help yourself. Gradually we are seeing the barriers holding out against Chiropractic being broken down. Two weeks ago a 75 year old man was referred to our clinic by an ENT specialist. No, indeed his TMJ ear pain of three months duration had nothing to do with his ear as his GP thought. I'm not sure who was more astonished, the patient or I but, after only one Chiropractic treatment of his TMJ, the facial pain was 50% less, and yesterday he declared it was completely gone. Now for the more difficult problems in his hips and feet. He has severe pain in his left foot. His doctors say it's helaas (nice Dutch word) a known side-effect of very strong heart medicine he was prescribed, but I think it's caused by a cuboid fixation in his foot. We'll see... I haven't got to his hips yet. Migraines are a challenge to every clinician who is faced with the patient suffering from severe headaches. One of the problems is that bad headaches are often labelled "migraines" when in fact they are a straight forward cervical facet syndrome. 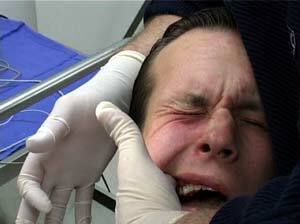 It's not very wise having your wisdom teeth removed under general anaesthetic. Apart from the dangers of a GA, close questioning of many of my TMJ patients reveals that their troubles started after their wisdom teeth were pulled. At least, in the chair, you can squeal when s/he opens your mouth too wide - it can crunch the meniscus and give you a life time of misery. Frankly I don't help many patients with tinnitis, but those I do, it's when the problem is in the jaw joint. Try retracting and protruding your lower jaw. Does it change the frequency or volume of your tinnitis? There may be help in store for you at your local Chiropractor. May be... I know of no research proving that chiropractic can help tinnitis. You may or may not know it, but the first chiropractic patient, one Harvey Lillard claimed he could again hear the trams on the street, something he hadn't been able to do for years, after a treatment from the founder of modern chiropractic, one DD Palmer, the first DC. "What on earth would a man do with himself if something did not stand in his way?". Having lost umpteen patients over the years, and both my parents long before their time, I badger patients regularly about the pernicious weed. Three patients this week delightedly told me that since their last consultation, two months ago, they'd quit. "How?" I asked, fascinated. Mrs N said that she started by not smoking when her grandchildren came to visit. One thing led to another, particularly that they suddenly loved to sit on her lap... finally the penny dropped. You can do it too. Victory over the weed is won between the ears. I AM GOING TO QUIT, BY HOOK OR BY CROOK, ONE WAY OR ANOTHER, DAMN IT ALL, I... AM... GOING... TO... DO... IT. "In a 2006 study, researchers at Colorado State University found that people who ate the widest variety of fruits and vegetables had the most DNA protection." This month we feature MUSSEL FACTS. It's midsummer in Holland, and the supermarket shelves are loaded with the juicy, succulent fruit of the Wadden zee: mussels. Yes, I love mussels. Why? Well, for their taste for a start. Delic. But secondly they, along with fruits and vegetables, are abolutely loaded with anti-oxidants like selenium and zinc that are now known to be at the forefront of cancer prevention. Anti-aging food. Healthy, all-your-marbles-intact-at-eighty food. Mussels get some bad press for their so-called high cholesterol. But the fact is they have half the saturated fat (0.9 mg/100g) of lean red meat already trimmed of all visible fat, and less saturated fat than both salmon (1,3mg) and mackerel (4,2 mg), both highly recommended by the Heart Foundation. All three are high in Omega-3 essential fatty acids, food nutrients without which we cannot survive. Usually you would cook them on a bed of leeks, carrots, parsley and the like, but last night we absolutely loved them as an Indonesian cuisine. 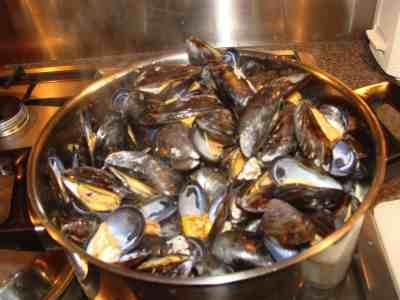 Ginger, curry, coconut, a few slithers of chilli, lemongrass ... whatever recipes for mussels you use, they are delic and healthy. But, if you have factories nearby pumping effluent into the sea... well, your mussels will be filtering that up too, alas. One way or another we pay a terrible price for negligent companies that pollute our oceans with oil and effluent. Shame on you BP! I'd buy my petrol from Shell, but they've made just as bad a mess in Nigeria. Time for an electric car? 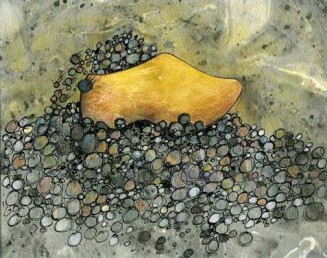 BERNARD PRESTON ...scroll down to CLOGS. BREAKING NEWS: At the end of August, 2010, I am returning to my roots, to a quieter life in the little village of Hilton in South Africa. In two weeks to be exact. Until next month then. There may be a delay in your monthly newsletter! Should you have found this email helpful, feel free to forward to family and friends. Your doctor?! A friend suffering from headaches, facial pain or jaw joint pain? Our readership has dropped a touch this summer, 93 000 page impressions at CHIROPRACTIC HELP last month. I wonder if this August we'll reach 100 000 for the first time. It's looking good! But for the considerable work put in, I would love this newsletter to go to 10 000 people! Can you help?